Welcome to Auguste Noel, the 'innovative fine food specialists'. We are a speciality fine food and drinks importer and wholesaler, supplying the 'thriving' independent market throughout the United Kingdom and Ireland. We buy direct from manufacturer's here within the U.K. and import an ever growing range of new and innovative products from all across Europe, to bring a point of difference to the independent trade. We currently supply in the region of 1000+ customers ranging from traditional style Delicatessen's to local Village Stores, ever evolving Farm Shops and Garden Centres to much loved local Butchers, Fishmongers and Greengrocers. We also supply Cafe's, Sports Clubs, Bars, Restaurants, Cinema's and Food Halls. 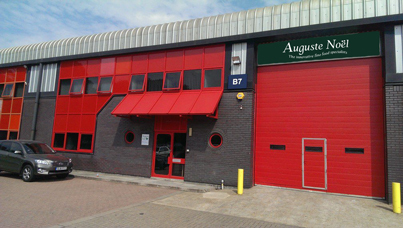 Auguste Noel offers an unparalleled service, operating from a 9000 sq.ft unit in Rochester, Kent. We provide a fast and efficient ‘one stop shop’ for all of your ambient grocery needs. With National Distribution and over 2500 products we offer a diverse range which we believe will appeal to all sectors of our market. We are a family business, and understand that the key to our success has been listening to our customer’s wants and needs; we are quick to react to market trends and are always on the lookout for the next big thing! Auguste Noel Limited was first established over 100 years ago by 'Mr Auguste Noel', a French businessman who had a fondness for French cuisine and in particular Fine Cheese's. We do not know much about the early days, up until the 1950's when Auguste Noel really started to become a major player in the supply of Continental Cheese's to the fine food trade all across London and the U.K. 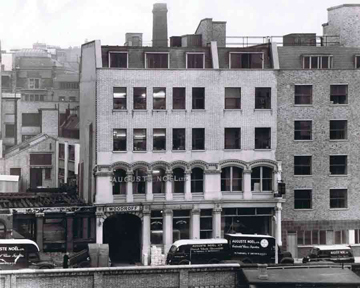 They had their main offices and warehouse in Clerkenwell, Central London and had a number of depots including Birmingham and Portsmouth. At their peak Auguste Noel where employing over 100 staff with over 30 Lorries delivering all over the U.K.
Auguste Noel is now a second generation family business, operating in fine food wholesale/import and distribution. We are based in Rochester, Kent with good links to Dartford Tunnel (towards Essex and the North) the Blackwall Tunnel for access into central London and both the M20 and the M2 for quick links down into Kent & Sussex. 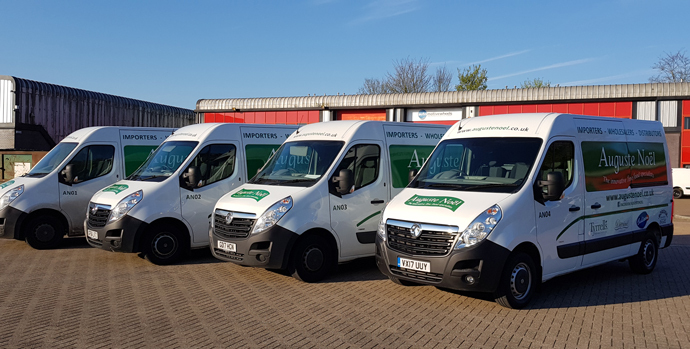 Over the last 10 years we have been growing rapidly as a company and now offer what we believe to be a '1 stop shop' for many customer's ambient grocery needs! We work closely with our suppliers to develop new and existing products.